Today, Sunday, was a perfect day weatherwise for darned near anything we would have wanted to do. Surprising to me, She Who Must be Obeyed did not feel like cycling so we walked to breakfast and a quick trip to the grocery to pick up a couple of items. Then She suggested a visit to the Cleveland Zoo. We hadn't been there in a while and it was early enough to beat the crowds that were sure to come later. So off we went. We had a splendid visit under nearly cloudless skies. It became a sort of photographic expedition. She had her most excellent Panasonic Lumix camera and I had my Canon Digital Rebel with Tamron lens. She and I shot lots of photos. She had spare batteries; I did not. So for about half the visit my camera was dead weight. No matter, really, we had a very pleasant visit. The animals were very active and the air was fresh and light. Later, as we sought a spare battery, we discovered Cord Camera had moved its area "superstore" from a location near where we live to one near where I work. We zipped over for a quick look and were very impressed. I need to stay away from there as it awakens the desire to acquire more expensive gear! It will be a clear night tonight but there will be no stargazing for this boy save, perhaps, a quick trip to the balcony with binoculars. I must get up and go to work and goodness knows Mondays are hard enough without adding fatigue to the mix. So I leave you with my two best photos from today's zoo safari –Hers are better than mine, in general– and hope you had a good weekend and will have a fine week ahead. The Lorikeet is beautiful but elephants are my all time faves! 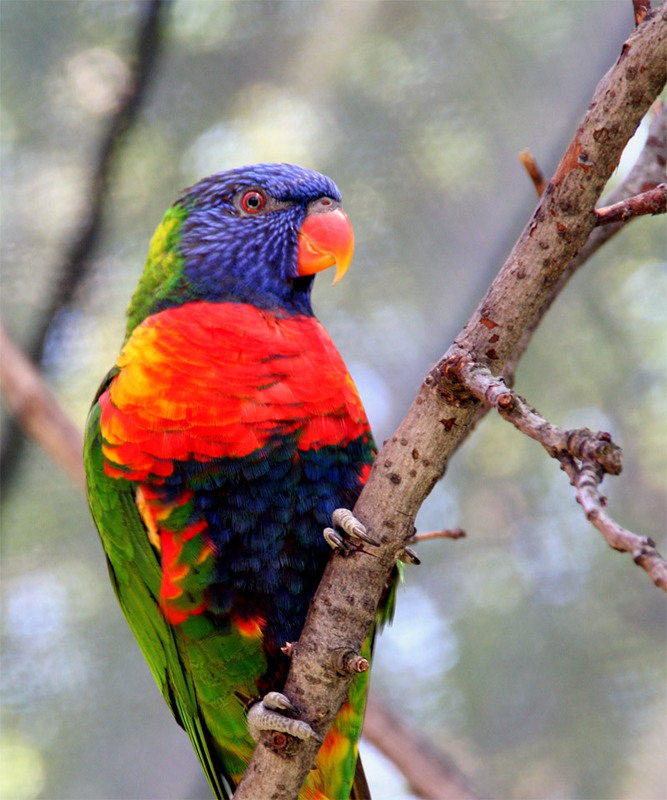 You have found a beautiful rainbow lorikeet! They used to come and sit on my balcony railing in Sydney. They are quite noisy when in a group but they can become quite tame. 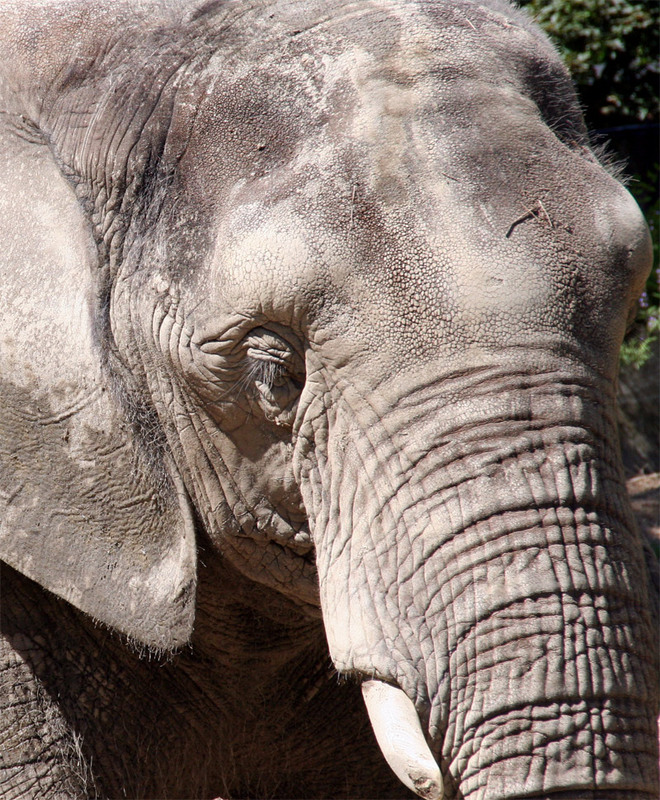 Elephants always look a bit muddy to me!